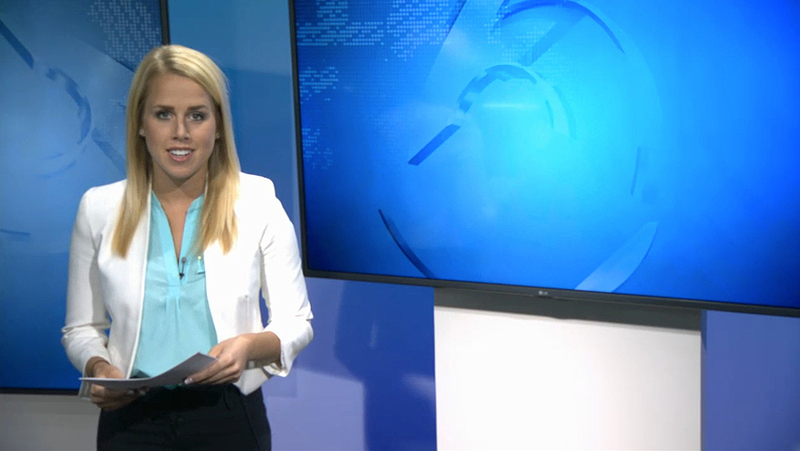 Quincy Media’s KBJR-TV, which serves Wisconsin and Minnesota, recently debuted their new studio. Designed by FX Design Group, the space features warm stonework with backlit paneling and multiple storytelling venues. A six panel vertical monitor array is located behind the anchor desk, framed by a color-changing lightbox. 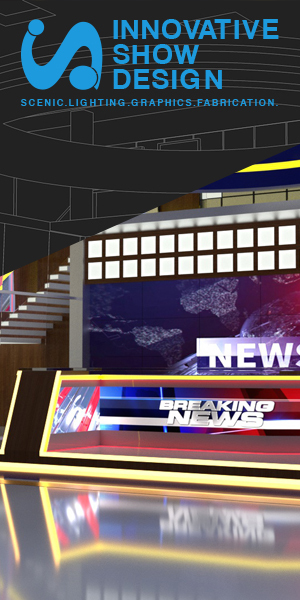 The anchor desk mixes plexiglass with backlit columns to create a unique shape to accommodate multiple presenters. 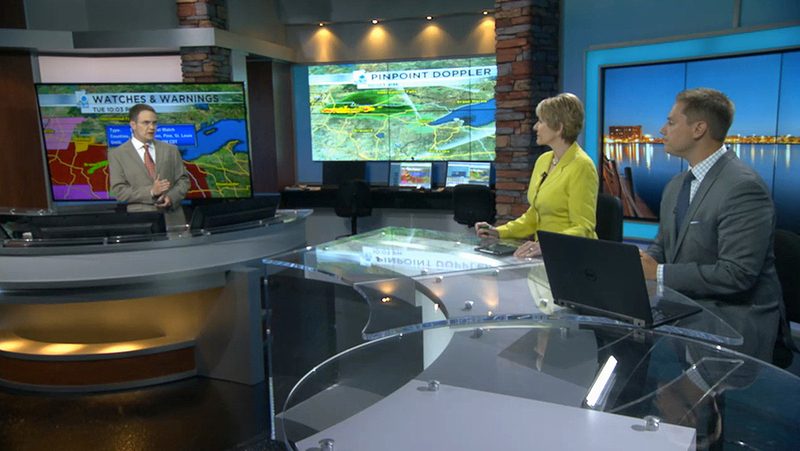 The working weather center includes a large monitor and a 3×2 video wall, along with desk space and a large pod. 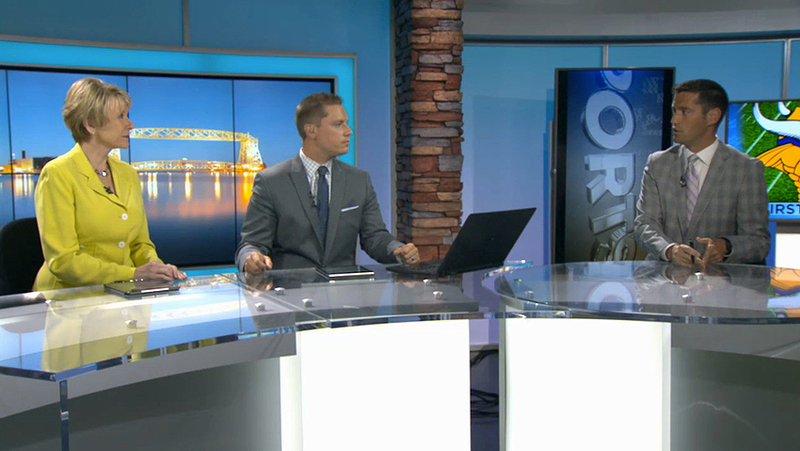 To the right of the anchor desk, the standup area includes a vertical and horizontal monitor, and can be used from the main anchor desk as a secondary background.